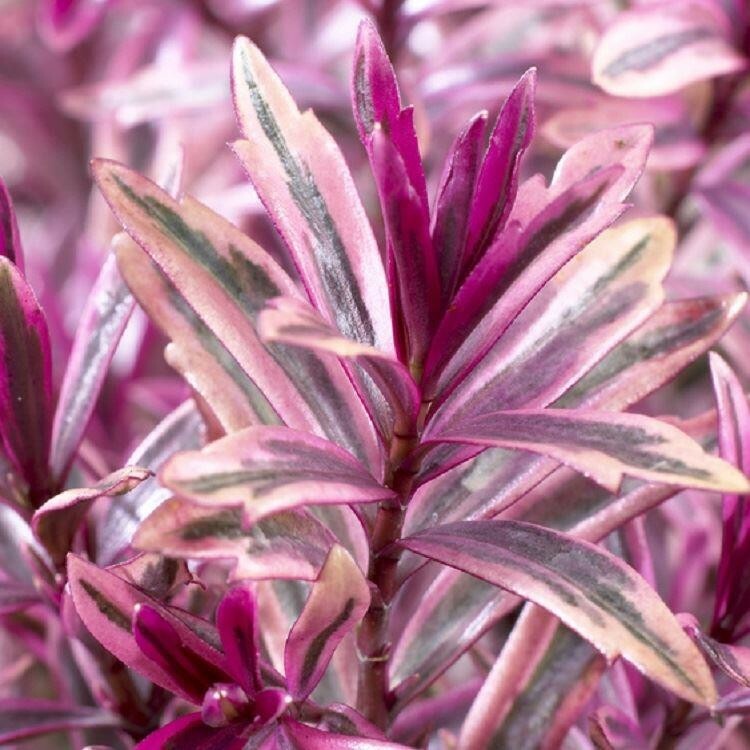 This fantastic and highly sought Hebe Heartbreaker is a wonderful evergreen that has Striking cream-edged green leaves all year round turning a stunning deep pink colour in winter. 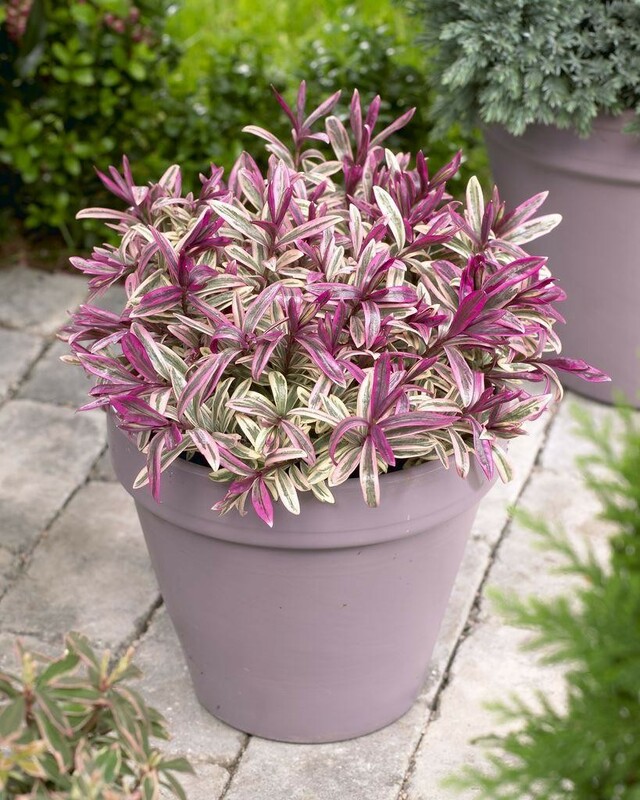 The cream-edged foliage will form a neat mound and look very attractive throughout the year, but the real treat is when the temperatures drop and Hebe Heartbreaker then takes on a vivid pink blush. 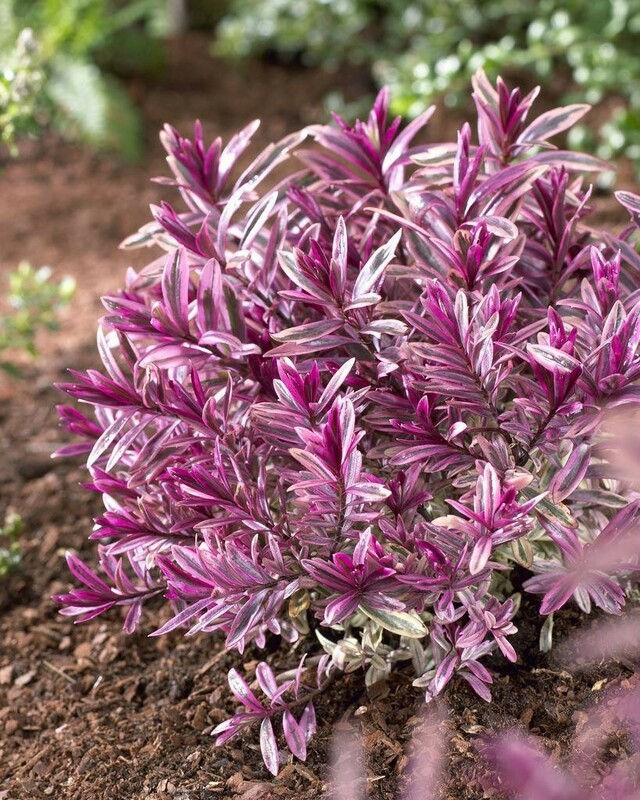 Its compact neat form lends itself well for growing as a specimen in a pot, but it also looks sensational at the front of garden borders. 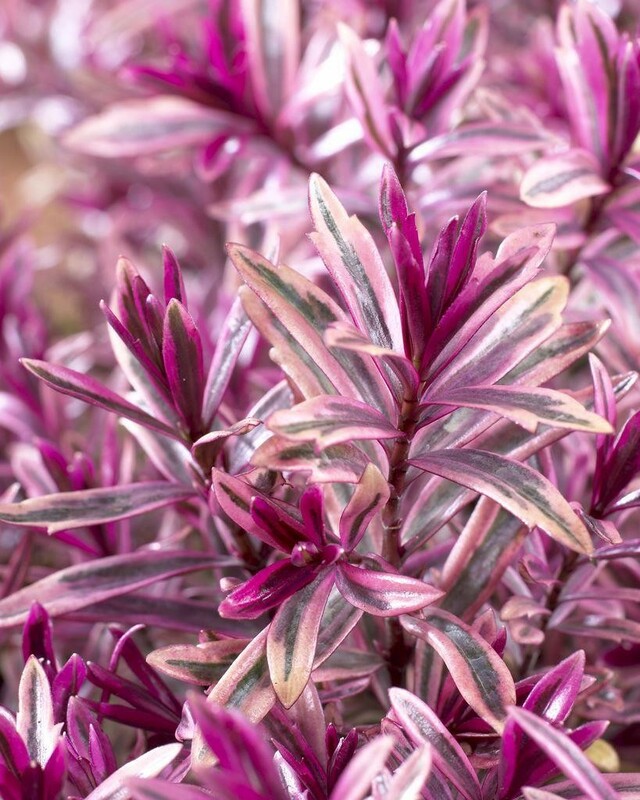 In summer, clusters of light mauve coloured flowers appear. Supplied in approx 2-3 litre containers.